Check out the crazy luxury we will bring to your event! Click any image below to find out more about just how unbelievably awesome our fleet is. Luxury in all shapes and sizes! Our limos and buses are top of the line! Luxury in it's truest form! 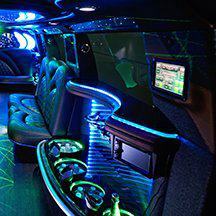 From top to bottom, every limo & bus is outfitted to please. Looking for something unique? Your search is over! We'd like to extend a courteous thank you for visiting MVPLimo.com to plan your special occasion needs! In Metro Detroit, we have proven we are the leading luxury transportation service. What does this mean for you? Simply stated: For VIP Detroit Limousine service, Detroit Limos, a Detroit Party Bus, or a Detroit Limo Bus... there's no finer choice you can make. It is our sincere pleasure and honor to be in the business of providing world class hourly limousine service and party/limo bus service for your big upcoming event... whether it is a birthday party, bachelor/bachelorette party, sport game, or wedding, we've got you covered! 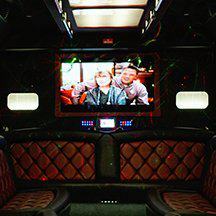 For any and all big celebrations, you can trust MVPLimo to deliver fun and stylish party buses, classy limousines, and world-class service to the Metro area. We have the experience you need to rest assured your next event will go off smoothly with a qualified professional behind the wheel. In short, for an unforgettable and memorable experience, travel in the ultimate class and luxury with Detroit Limousine service by MVPLimo! 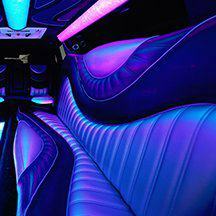 What makes a limousine company or limo party bus company so great? Some might mention the type of vehicles they offer, others might note the amenities included, but truly, no limousine or party bus company on the planet is worth it's weight unless there are great people to make sure those vehicles are in perfect condition once the time comes for your big day. This is the secret to MVPLimo's success. We have worked very hard and very studiously to find people who can share in our collective passion to be the very best. Our commitment to excellence will be evident from the moment you first call us. You will be greeted by a friendly, knowledgeable booking agent who will answer any and all questions you might have, and guide you through our reservation process. Once you book your vehicle, rest assured that our fine maintenance crew and dependable mechanics work daily to insure that your limousine or bus is clean, smells new, and runs like a champ. 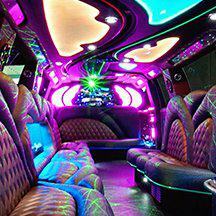 Your big day will arrive, and you will want to insure that your limousine or party bus is promptly on time. Worry not! Our highly trained, distinguished, and consummately professional chauffeurs will be there waiting with an accommodating air of welcome for you and your group. As the "front-line" of our company, we have worked extra hard to insure that every little detail that might arise will be professionally handled by your chauffeur. We've found, that the most diminutive element can wind up making quite a difference on how your event turns out. We do our best to catch everything, as we don't want any chance of even a little happenstance putting a dent on anyone's enjoyment of the day. Take your time, and look through our website. You'll be able to find out great info about our services and perks offered when you do business with us. We will be happy to assist you for all occasions, we don't expect you to come to us with all the answers, we'll walk you though the process to make sure you are booking the perfect vehicle for your needs. If you're ready to contact us regarding your trip, we're always happy to hear from you via email or by phone. Give us a call any time 24/7. We always provide free quotes so even if you aren't quite ready to make your reservation you can still call for your free quote and then when you are ready to book with us you can pick up right from where you left off. 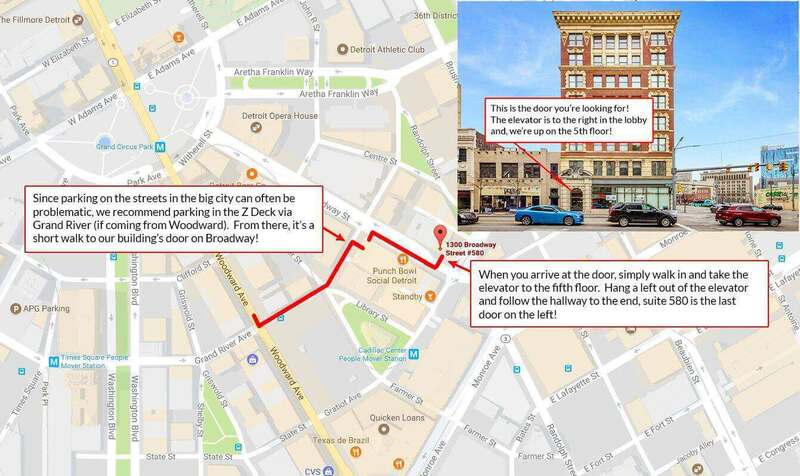 We're easy to find, in the heart of Detroit! We service the entire state. No matter where you need to go, book a limo with MVPLimo to pick you up and drop you off. Check out these great companies as well! For quotes, questions, or to view our late model vehicles in person, just give us a call!